lt;stronggt;DRA91351CTlt;/stronggt;lt;BR/gt;O-cedar Maxi-Angler Broomlt;BR/gt;Big sweeping surface with angled cut for hard-to-reach corners or under furniture. Washable, flagged-tip bristles are unaffected by water, alkalies, acids, grease or oil and won't wear down, break or fall out. Plastic angled shroud has patented handle-locking mechanism. Application: Floors Bristle Material: Polystyrene Bristle Length: 13amp;quot;.lt;BR/gt;lt;BR/gt;lt;stronggt;BWK6180lt;/stronggt;lt;BR/gt;O-cedar Maxi-Angler Broomlt;BR/gt;The economical choice for quality bathroom tissue. Embossed, standard size roll. Tissue Type: Toilet Number of Plies: 2 Number of Sheets: 500 per roll. 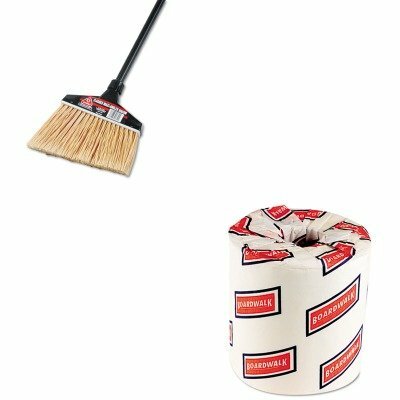 Rubbermaid Angle Broom 13 "